How to Get a Personal Loan with a Low Income or No Salary Slip? The income of an applicant is one of the most basic criteria considered by lenders for granting a personal loan to a borrower. It’s natural that lots of questions related to monthly income or salary come to the mind of a borrower more often than not. Can I get a personal loan salary of less than Rs 15000? How much loan can a salaried person get if salary is Rs 33600? Can I get a personal loan without a salary slip? How much personal loan can a salaried person get? How to get a personal loan if my salary is low? The National Cooperative Bank Ltd. The West Bengal State Cooperative Bank Ltd. There are many lenders who provide small loans online to individuals in different income categories. If you are one of those potential borrowers having concerns/queries as mentioned above, please go through this blog where we will tell you about ways how you can avail a personal loan for salary less than Rs 15000 or even a personal loan for salary less than Rs 10000. We will also tell you about various lenders who provide personal loan for Rs 15000 salary as well. 🤙 How much personal loan can a salaried person get? Best Personal loans are popular options for people as they are easier to get. Having said that, let’s understand that, getting it approved can be challenging at times, particularly if you belong to a lower income group (for example, personal loan salary less than Rs 10000 or personal loan salary less than Rs 15000). Among the factors that determine the approval of a personal loan, income is perhaps the most important one as a lender would want to be absolutely sure that there will be no risk of defaulting in the future. There is a little bit challenge. But, here, you can find out how personal loan for low salary professionals is available. Again, if you are a salaried person with a steady flow of income every month, getting a personal loan approved should not be a cause of concern for you at all. But there is not a standard or a set parameter that decides how much personal loan will be approved on your monthly salary. Before deciding on the loan amount to approve, the lender will do a check on whether you are currently having any other loan and whether you defaulted in the past, among other things. Any previous instance of a default will harm your chances of obtaining the desired personal loan amount and/or getting a favorable interest rate. If you have a good credit score, it will do your chance a world of good as it will convey to your lender a better credit risk about you. Therefore, it is highly imperative that you should keep a strict vigil on your credit score and should find out ways and means to improve it. A higher credit score will convey a better creditworthiness to the lender. The interest rate offered to you and the loan amount approved for you are heavily dependent on your credit score and your credit history. 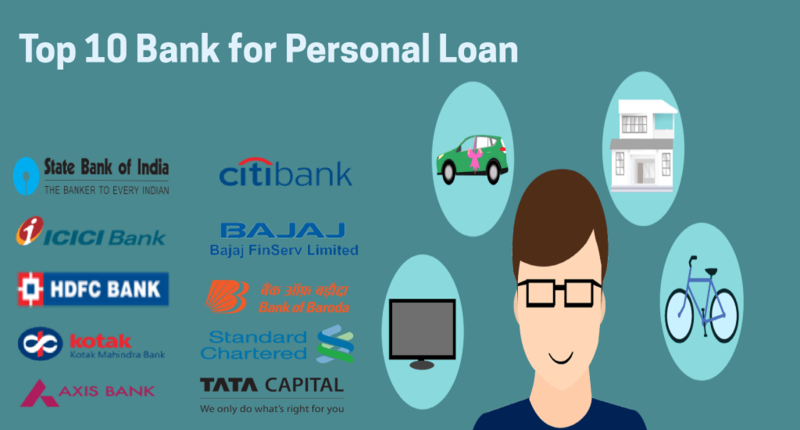 Even, if you are struggling with personal loan approval, find out how personal loan with low CIBIL score can be approved. This write up will help you improve your credit score. Although there are factors that determine how much personal loan a salaried person can get, the eligibility criteria vary from lender to lender. Some banks/NBFCs limit the maximum personal loan amount to Rs 25 lakhs. Some other banks and NBFCs provide a personal loan amounting up to 60 times the monthly income of a salaried person. Therefore, for a personal loan for Rs 15000 salary, a borrower is eligible to avail a loan up to Rs 9 lakhs. In addition, some lenders may look to approve a personal loan amount so that the EMIs remain within 45 % to 60 % of the monthly income of a salaried person. For example, let us assume that you are a salaried person and your monthly income (including all deductions), falls in the range of Rs 20,000 to Rs 25,000. In this case, a lender would look to approve a personal loan amount such that your EMI does not exceed Rs 12,500, which is roughly about 50 % of the monthly income. This way, the lenders look to reduce the risk of a possible default. Salary Slips:- Bank statement of three months (of the account where income or salary is credited). If you are a salaried person, you can apply for a personal loan with Afinoz.com and have your personal loan eligibility and personal loan EMI checked accurately. You can make use of our effective utility tools such as the Personal Loan Eligibility calculator and Personal Loan EMI calculator. The quality services and expert financial advice of Afinoz are available for you 24x7 and at no cost at all. 🤙 Can I get a personal loan salary of less than Rs 15000? No one can predict when monetary needs come knocking at his door and most of the times he is not prepared well enough to meet such sudden and unexpected ‘guests’. It is quite possible that he may not be having enough funds to protect himself and his family from such unexpected financial challenges. A personal loan is what he can look up to in such situations so that he can sail through to the shores of safety, with considerable ease. Do you fall into the group of low-income individuals? Are you having a difficulty in getting a personal loan salary less than Rs 15000? Leave your worries behind! There are enough ways by which you can avail your well-deserved personal loan, even if you need a personal loan for Rs 15000 salary. It is a known fact that the monthly income of an individual is an important factor for the approval of a personal loan by a lender. We have received queries from many individuals looking for a personal loan salary less than Rs 15000, who think that their low monthly salary is a huge obstacle in the path of their availing a personal loan for Rs 15000 salary. If you are one of them, you can very well have a sigh of relief. Yes, you heard it right! You can get your well-deserved personal loan salary less than Rs 15000. Well, we understand the concerns of individuals with low salaries as they fear that their presumably low salary may come in the way of availing a much-needed personal loan for 15000 salaries. You can’t blame lenders too much also as it is quite natural for them to be apprehensive about the loan repayment capacity of these individuals. But, at the same time, they need to understand that individuals with low salaries can be hit more strongly by cash crunches as they may not be having enough fall-back options. Thankfully many highly-acclaimed lenders in India such as HDFC, SBI or ICICI have acknowledged the dire needs of such individuals and have come up with personal loan solutions, specially designed for people looking for a personal loan for Rs 15000 salary or even personal loan salary less than 15000. ✔ No Security- No security deposit is required for a personal loan from HDFC. ✔ Special offerings for women applicants- Women applicants may avail, under the Diva personal loan, a pre-approved personal loan up to Rs 3 lakhs. ✔ Age criteria- The applicant should not be less than 21 years and beyond 60 years in age. ✔ The minimum income criteria for availing a personal loan is Rs 15000 per month for applicants in the metros and in prime cities like Bangalore, Cochin, Hyderabad, Pune and Ahmedabad. ✔ For residents in any other cities in India, the minimum income should be Rs 12000 per month. ✔ Higher Loan amount- A salaried individual can avail a personal loan up to 12 times his net monthly income (up to a maximum of Rs 10 lakhs). ✔ No Security- No security deposit is required for a personal loan from SBI. ✔ Repayment period – An SBI Saral personal loan is required to be paid back in 48 EMIs. ✔ Low Processing fee- The processing fee required for an SBI Saral personal loan is in the range of 2% and 3% of the loan amount in addition to the applicable taxes. ✔ The minimum income criteria for availing an SBI Saral personal loan is Rs 10000 per month for applicants in rural or semi-urban areas. 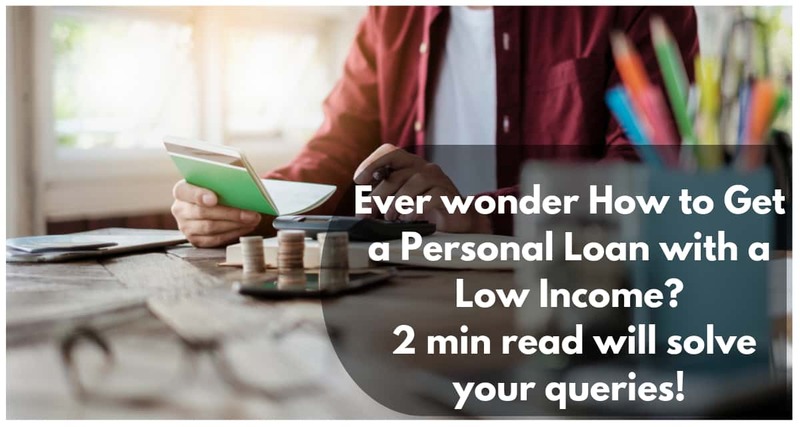 ✔ Loan amount as per need-If you are a salaried person, you can avail an ICICI bank personal loan amounting the range of Rs 50000 to Rs 20 lakhs, to meet your specific needs. ✔ Age Criteria – The applicant should not be below 23 years and above 58 years in age. ✔ Quick disbursal-Once you submit all the required documents, your personal loan will be disbursed within just 72 hours. ✔ If you are a salaried person, you can apply for a personal loan with Afinoz.com and have your personal loan eligibility and personal loan EMI checked accurately. You can make use of our effective utility tools such as the Personal Loan Eligibility calculator and Personal Loan EMI calculator. The quality services and expert financial advice of Afinoz are available for you 24x7 and at no cost at all. 🤙 How much loan can a salaried person get if salary is Rs 33600? If you are a loan seeker, it is quite natural that one question will keep coming to your mind more often than not- ‘how much loan am I entitled to get with my monthly salary?’ Yes, it happens with almost all borrowers. Loans are nothing but a credit facility provided to applicants like you who have a steady income. From many factors that determine the disbursing of a loan, income is the most critical one as it provides a lender an accurate assessment of whether a borrower will be able to repay the loan amount in time or whether there is any risk of default in future. The lender also knows that the higher your income is, the more will be your ability to borrow. Therefore, if you are a salaried person with a monthly salary of Rs 33600, getting a loan should not be of an issue for you. But there is not a standard or a set parameter that decides how much personal loan will be approved on your monthly salary. The salary criteria and the maximum loan amount can vary from bank to bank, for different types of loans. The other eligibility criteria that determine how much personal loan a salaried person can get also vary from lender to lender. For example, there are banks /financial institutions that keep a cap of Rs 25 lakhs as the maximum amount when it comes to a personal loan. Some other lenders provide a personal loan up to 60 times the NMI (Net Monthly Income) of a salaried person. Therefore, if you have an NMI of Rs 33600, you are eligible to avail a loan up to Rs 20 Lakhs. There are other financial institutions that are prepared to provide you small loans online, even if your salary is on the lower side. You can even get a personal loan salary less than 15000 or a personal loan salary less than Rs 10000. In addition to this, some lenders tend to approve a loan amount, so that the EMIs of the borrower stay within about 50% of his net monthly income (after taking into accounts his other loan repayments, if any). 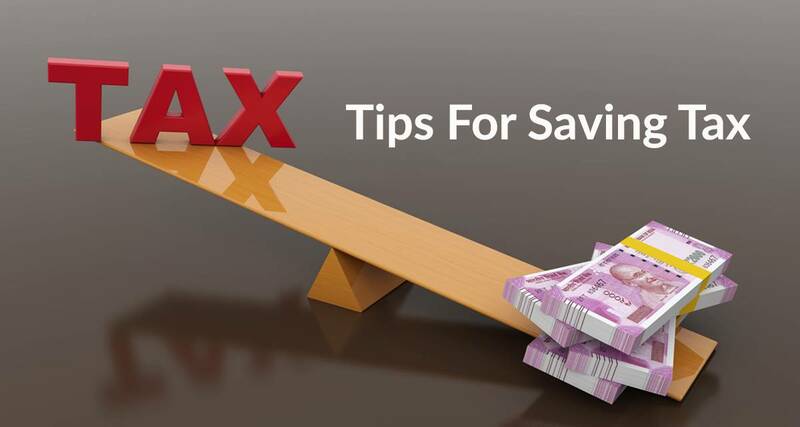 For example, let us suppose that you are a salaried person with a monthly salary of Rs 33600 -but your take-home salary comes down to Rs 20,000, after considering all deductions and existing loan repayments. In such a case, a potential lender would tend to approve a loan amount in a way so that your EMI does not exceed the range of Rs 9,000-Rs 12,000, which is approximately 50% of your monthly income after deductions. Thus, the lenders would like to minimize the threat of a possible default. Therefore, some lenders are apprehensive to grant you a loan if you apply for a personal loan for Rs 15000 salary or personal loan salary less than Rs 10000. Before deciding on the loan amount, the lender will also have a check on whether you had any payment defaults in the past. Any previous instance of a default will harm your chances of obtaining the desired loan amount and/or getting favorable terms/conditions. Therefore, it is imperative that you clear all your previous defaults before you apply for a personal loan for salary less than Rs 15000. Your credit score is another important criterion for approval of any loan to you. If you have a good or excellent credit score, it will do your chance a world of good as it will convey a better credit risk to your lender. Therefore, it is recommended that you should keep a close watch on your credit score and should constantly work towards improving it. A higher credit score will help you to get a loan on favorable terms or if you have bad credit score then you can imporve your credit score and you stand a better chance of getting the loan amount you desire as a good credit history/credit score convey a better creditworthiness to the lender. 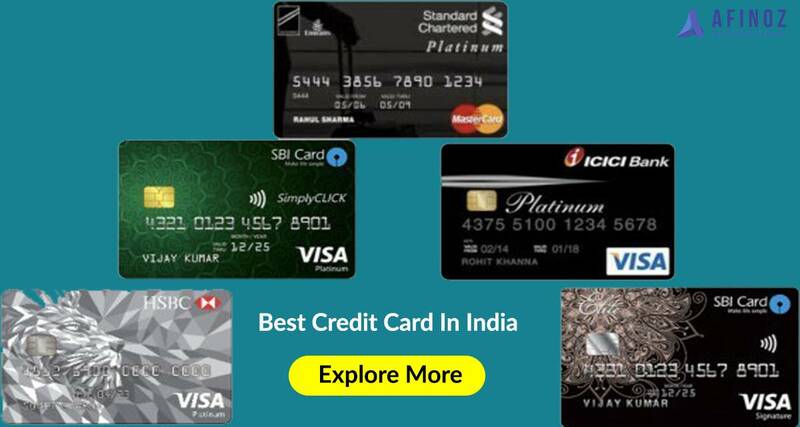 Therefore, you should try to maintain a good credit history/ credit score before you decide to apply for a personal loan for Rs 15000 salary or personal loan salary less than Rs 10000. The following chart will give you a fair idea about the maximum personal loan amount; you can avail with 5 top banks/NBFCs in India if you are a salaried employee with a monthly salary of Rs 33,600. The following chart will give you a fair idea about the maximum Home loan amount you can avail with 5 top banks/NBFCs in India, if you are a salaried employee with a monthly salary of Rs 33,600. The following chart will give you a fair idea about the maximum Car loan amount you can avail with 5 top banks/NBFCs in India, if you are a salaried employee with a monthly salary of Rs 33,600. If you are a salaried person with a monthly salary of Rs 33,600, you can apply for a personal loan with Afinoz.com. On this convenient platform, you may also check your personal loan eligibility and personal loan EMI accurately with our effective utility tools such as the Personal Loan Eligibility calculator and Personal Loan EMI calculator. The quality services and expert financial advice of Afinoz are available for you 24x7 and at no cost at all. 🤙 Can I get a personal loan without a salary slip? A best personal loan is designed to address the short-term or sudden financial requirements of an individual. In usual practice, a personal loan is meant to meet the needs of the salaried or self-employed group of people who can boast of a continuous source of monthly income. But this, by no means implies that an individual without a salary slip is not entitled to avail a personal loan, when he needs one. You can get a personal loan even if you are unemployed or jobless at the time of applying for a personal loan. It may so happen that you used to draw a steady salary earlier and also used to maintain a good repayment history. Now you can speak to the bank with whom you used to have your salary account earlier and apply for a personal loan from this bank. There is every chance that the bank will consider your loan application based on your impressive credit history, previous employment history, and income tax returns and may not ask for your recent salary slip at all. If you are still finding it tough to find a way through, try getting a personal loan from any of the major co-operative banks in your area that may provide small loans online. You may end up getting a personal loan here even without a current salary slip as these banks do not often have strict eligibility criteria. P2P or Peer To Peer lending companies is another easy and effective option for you if you are not able to produce a salary slip, or any current income proof, for that matter. The objective of the very existence of these organizations is to make people have easy and affordable access to credit and this is the reason why they provide many small loans online. If everything goes well, you may even end up getting a personal loan at a cheaper interest rate as compared to the rates offered by commercial banks to borrowers without the requisite income proofs. If you are not in a position to submit a recent salary slip as an income proof, you may consider applying for a personal loan with a fixed deposit; you are having with a particular bank. The bank will also have no hesitation to grant you a personal loan against your FD, which is one form of a secured loan only. If you negotiate well, you are likely to get a personal loan or a small loan online to the extent of 75 % to 80 % of your FD value. If you happen to own a life insurance policy (you should be the insurer) you can have a peRsonal loan approved for you, against this insurance policy as well. There are many financial institutions that provide small loans online but the policy needs to be transferred into the name of the lender before such a loan is granted to you. The rate of interest is calculated after considering the insurance premium amount and the number of times the premiums were paid before the loan application is made. Therefore, there are many ways by which you can get a personal loan even if, for some reason, you are not able to produce a salary slip to your potential lender. You may get your much-needed loan by showing other sources of income or assets. Even if you cannot show a regular source of income but you possess sufficient assets, you can avail a personal loan with considerable ease. The effective online platform of Afinoz.com can help you a great deal in availing the personal loan your choice, irrespective of whether you can completely fulfill the income criteria or not. You can apply for a personal loan from us and check your tentative EMI/ eligibility using our utility tools such as Personal Loan EMI calculator and Personal Loan Eligibility calculator. The dedicated experts of Afinoz will always be there to provide you with the best possible financial advice, tailored to your specific needs. Our best services are offered to you absolutely free of cost. For any query, feel free to call us at 0120-411-0376 or fill this form. Our representative will get in touch with you. are popular options for people as they are easier to get. Having said that, let’s understand that, getting it approved can be challenging at times, particularly if you belong to a lower income group (for example, personal loan salary less than Rs 10000 or personal loan salary less than Rs 15000). Among the factors that determine the approval of a personal loan, income is perhaps the most important one as a lender would want to be absolutely sure that there will be no risk of defaulting in the future.